Versionist Records is a new non-profit label. It aims to release a variety of original reggae and dub sounds, with the income from CD/digital sales being allocated to a specific good cause chosen by the artist involved. This first album release from Versionist – Soul Morality – is by WoW Pufflov (Belgium) along with Speakah Productions (Holland). The proceeds will be going to the Cambodia-Belgium aid project. The Versionist mastermind is none other than Gibsy Rhodes of Springline Jamaica (see reggaemusic.org.uk 26th July 2013, 20th October 2013) and he is also credited with sequencing on this release. The music and rhythms here have been composed by Speakah Productions, and each track, unusually enough, is both melodic and understated. The lyrics and their delivery, courtesy of WoW Pufflov, are committed and strong but also fragile. This combination of music and vocals makes for a surprisingly gentle and subtle album which is uncommon, and welcome, amongst contemporary reggae releases. The album kicks off strongly with ‘Love Train’, melodic and powerful. A distinct soul influence is present on ‘Follow Your Own Path’, while tracks like ‘Zion’ and ‘Living Culture’ give more scope to the dub sound that is aching to assert itself throughout. ‘Love Jah Jah’ is plain and simple (and very effective) roots reggae in the old school style. The album closes strongly with ‘Magic Ball’, a slow and deliberate roots song with a reflective feel to round things off. So something different is being offered here, with an inspiration coming from both vintage-era reggae and contemporary production values. All twelve tracks are worth hearing. You can listen here to one of them. From the net label Dubkey comes the expansive cinematic sound and video of ‘Zion’s Calling’. Taken from Apocalypse Dub Faction’s album ‘Jah Never Fail I’ it is, like previous Dubkey releases, available free to download. 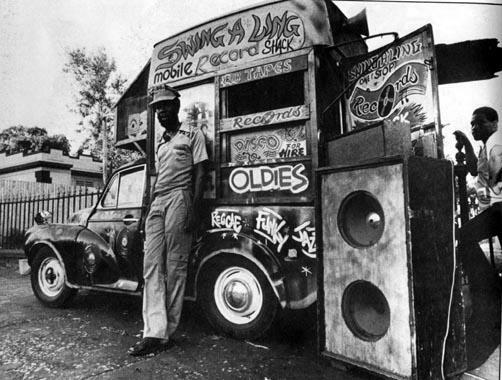 Thus far Dubkey has released seventeen or so collections of mainly dub sounds, providing a platform for original rhythms rather than remixed or re-produced versions of existing reggae tracks. On ‘Zion’s Calling’ it’s the UK and Malta sound of graceful digital dub. The rest of the album can be downloaded here which also serves as a way-in to previous releases from Dubkey. The recent growth of free-to-download net labels specialising in dub reggae (see also the review of Cyprus-based net label Dubophonic at reggaemusic.org.uk 4th October 2013) points to something positive and fundamentally different from the ‘re-release and re-visit’ orientation of some of the major labels; and it provides a potential way forward for anyone seeking to get a release of their material out to new audiences. As always reggaemusic.org.uk is not responsible for material downloaded from external sites. Imperial Leisure have a style (described by their label as ‘alt ska’) that’s pretty hard to pin down: rock-guitar led with a strong ska-based brass section, plus hip-hop vocals and a reggae skank rhythm somewhere back there in the mix. An earlier release like their ‘Great British Summertime’ displayed this all-embracing musical remit to excellent effect. The distinctive sound of the Skints (see reggaemusic.org.uk 27th March 2013) is maybe some point of comparison if one is really needed. Imperial Leisure have been around for a few years now with two albums released thus far and a third coming into view on the horizon. This new single release – ‘Nasty Boy’ – is a punky reggae party that storms along heavily and keeps them firmly on track as pioneers of vital cross-genre live music. From the Unit 137 label comes this impressive second release from their resident producer Sleepy Time Ghost (see reggaemusic.org.uk 27th January 2013 for a review of his earlier EP based around the ‘Youthman Riddim’). This time round STG offers a four-track EP built upon the slow and strong roots sound of the ‘Ghost Train Riddim’. This starts with ‘Meditation’ (featuring Macka B and Zico), followed through with ‘Jah Can Read Your Thoughts’ (featuring vocals from no less than Mikey General). Next up is the remix from Hylu and Jago entitled ‘Babylon’, before the EP closes with the source rhythm track itself which will doubtless be an inspiration for further versions, mixes and dubs in the future. Unit 137 has by now built up quite a reputation with its unique project – a South-East London-based collective of musicians, DJs, producers, vocalists and engineers, sharing their own recording studio, record label and sound system and drawing-in a whole range of contributors. Overall this new release reinforces that reputation and manages to bring together older established reggae traditions with a contemporary nu-sound system feel based on the combination of live instrumentation and studio digital production. Click here to listen to a preview. Sleepy Time Ghost: ‘Ghost Train Riddim’ EP released (Unit 137) on 19th April 2014 for ‘record store day’ (vinyl format); 21st April 2014 (digital format).